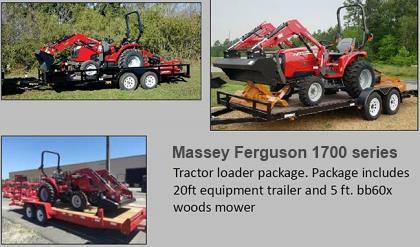 We offer Challenger Tractors and Massey Ferguson Tractors for rent. We have a vast assortment of tractors that are well maintained by our technicians. We have rental locations at our Ft Myers location (Ag headquarters) and also at our Clewiston store. We also rent ABI Hose reels for your convenience. *Transport and insurance fees applicable. We rent the following agriculture equipment: Challenger Tractors, Massey Ferguson Tractors, and ABI Hose Reels.